The School Council serves as the voice of the children. It is an elected body consisting of pupils from all of the classes in Key Stage 1 and 2. We hold an annual Democracy Day where pupils create their own manifestos and then vote to elect the representatives for their class. At the end of the day, the votes are counted and winning candidates are announced in a special assembly. During this year’s Democracy day we had visits from the Hackney Mayor, The Speaker of the house and our Local Councillor who were all able to talk about their experiences on their journey to being elected. 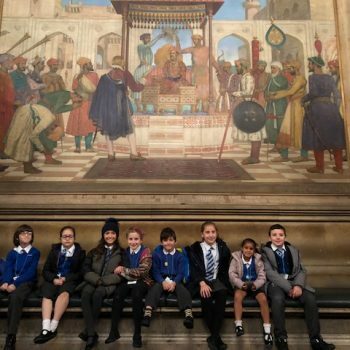 This year, after they were elected, the School Council visited the Houses of Parliament. They were taken on an exciting tour of the Palace of Westminster, including the House of Lords, House of Commons and Central Lobby. They also watched an informative video that outlined the history of Parliament. The School Council meets weekly and is given an opportunity to put forward their views about the school, arrange events and raise funds for charitable causes. The pupils learn how to take minutes, vote on decisions and take part in debates.